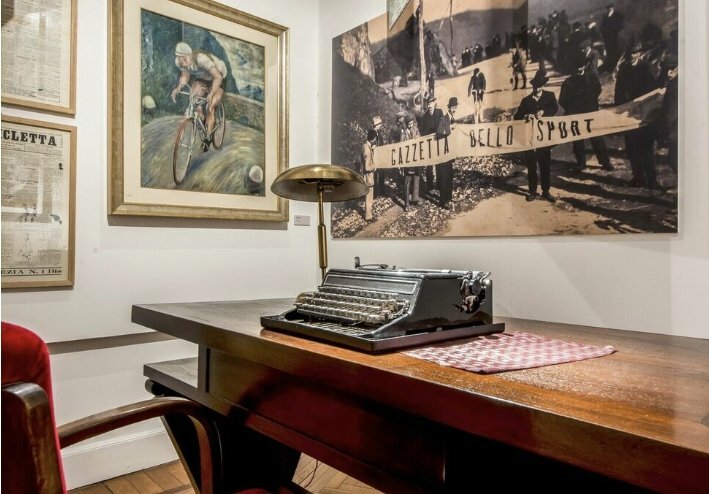 “Historical cycling races in chronicles”: is the title of a professional course for sport journalists scheduled in the twin AcdB museum in Alessandria. “The Giro has no boundaries” is the subtitle, an evening congress dedicated to cycling history and cycling journalism fixed on Thursday, November 29th, 2018 – 17 hours credits | Monferrato Palace – Alessandria City Museum of Bicycles. The Cro.S.S. (Sports Historians and Reporters Association), with the patronage of Alessandria Città delle Biciclette Museum and the Cycling Museum Our Lady of Ghisallo of Magreglio and in collaboration with the USSI (Italian Sports Press Union), the Ruggero Radice Subalpine Group and the Territorial Scholastic Offices of Alessandria and Milan, organizes Historical cycling races in chronicles – The Giro has no boundaries as an evening dedicated to the cycling history and cycling journalism. The conference, free, is scheduled on Thursday, November 29th, 2018 from 5.15 pm to 8.30 pm at Monferrato Palace – Alessandria Città delle BIciclette Museum – Conference Hall, Via San Lorenzo 21 – Alessandria, reserved for journalists enrolled in the Order of Journalists (30 places) as valid for training (registration on the Sigef ODG Piemonte platform) and teachers of Alessandria (60 places) and Milan (30 places) for which it will be valid for training purposes. The Cro.S.S. involved in the event numerous illustrious journalists and sports historians: from Roberto Livraghi and Jacopo Zurlo interviewed by Luciana Rota, to Luca Rolandi, Enzo Pennone, Sergio Giuntini, Claudio Gregori, Ennio Buongiovanni and Antonio Raimondi. The Cro.S.S.’ President Andrea Bienati will moderate the meeting: historical movies Coppi, Bartali and the bicycle and Totò at the Giro d’Italia will be shown as scheduled. As part of the conference, the II° Marco Cassani Award will be presented (award entitled to an unforgettable chief-editor of La Gazzetta dello Sport for Olympic Sports and, in particular, the main journalist for basketball and athletics) to the actor Giovanni Soldani and the director Umberto Zanoletti for the theatre monologue INVASIONI DI CAMPO (pitch invasion) – Stories of numbers written on the shirt and on the skin… Arpàd Weisz, Matthias Sindelar, the team of bakers in Kiev: sport champions protagonists of sports chronicles on the Thirties, killed by the Nazi events. Cro.S.S. is a non-profit association, founded in 2016 with the aim to built an interaction between the fields of information and historical-sporting research: from one hand the sports journalism and, on the other, the sports historians. In fact, there would be no historians without the chroniclers as specialized paper is the main source through which sport history is told (in absence of archives or their dispersion over time). Only a narrowly and snobbish academic vision denied this concept before: today Cro.S.S. intends to delve into this world organically, always guaranteeing quality and seriousness of its in-depth analysis and of its historical-sporting divulgation.